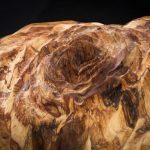 Life has a way of flowing that can sometimes appear random, unplanned, and perhaps even chaotic; but when hindsight offers its perspective, we frequently discover that what we perceived as random was actually part of a well ordered plan, destiny if you will. 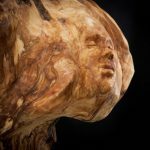 Karma seems to be the explanation. 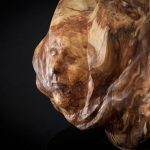 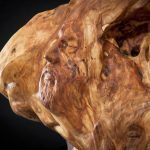 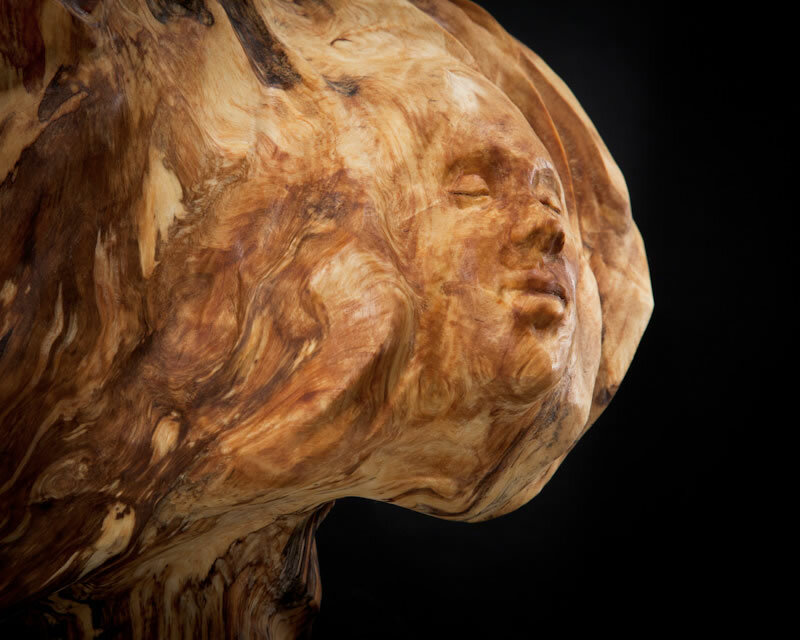 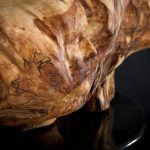 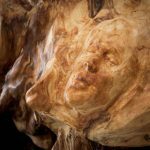 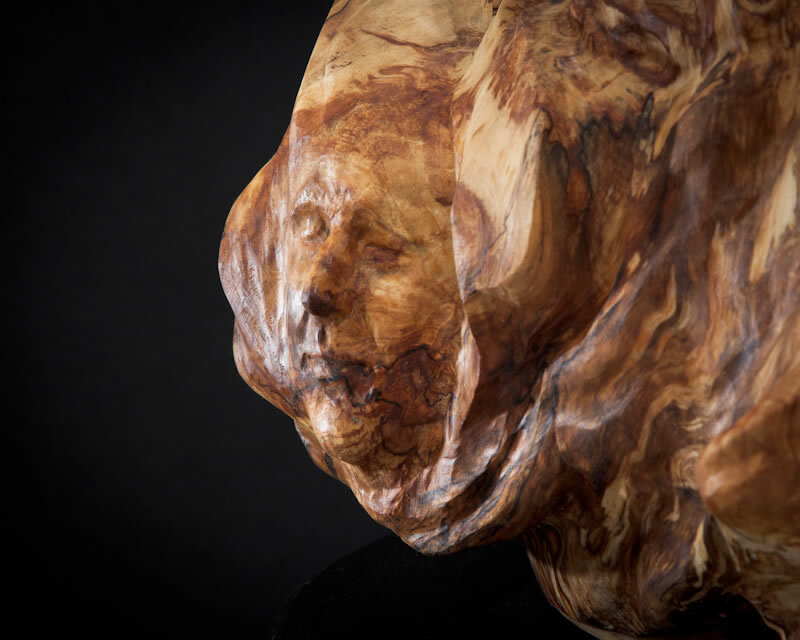 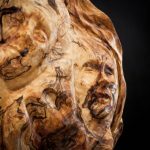 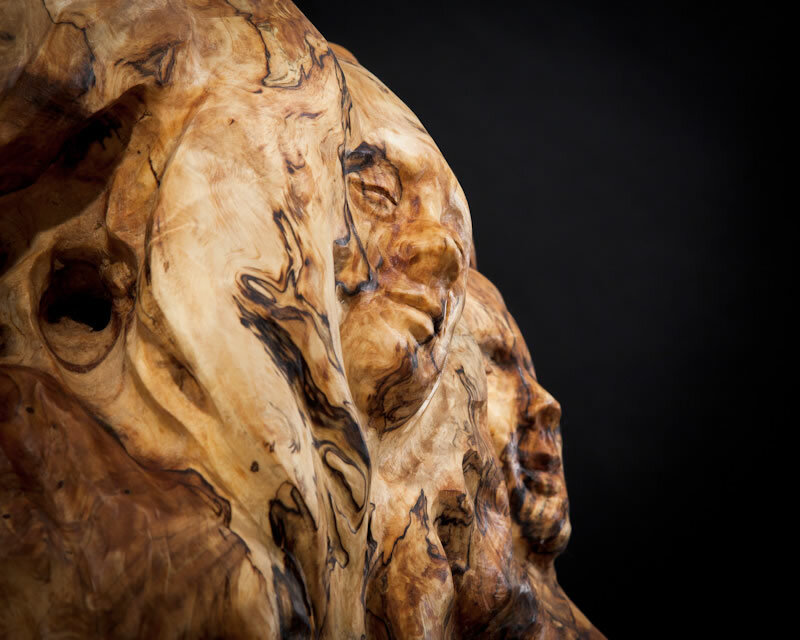 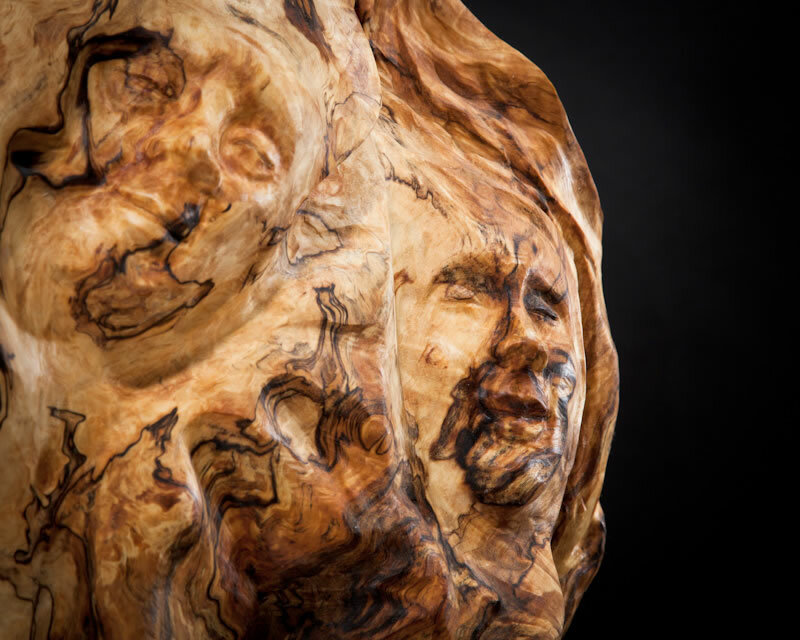 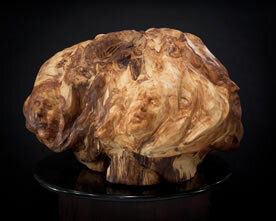 This sculpture is carved from a burl, which itself is a random growth on the trunk of a tree. 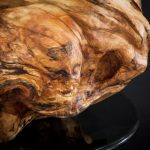 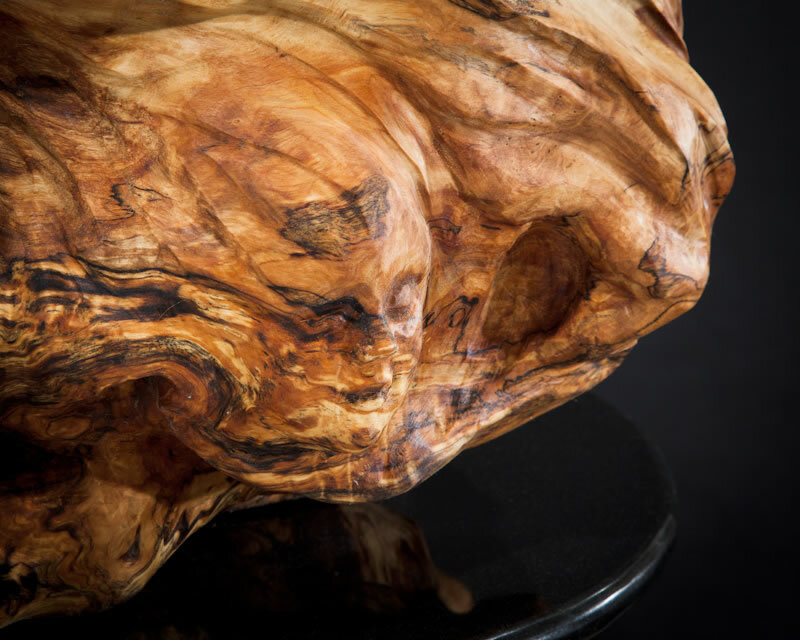 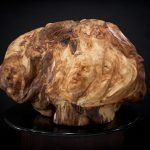 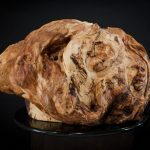 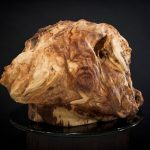 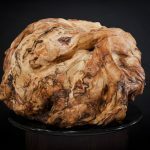 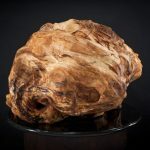 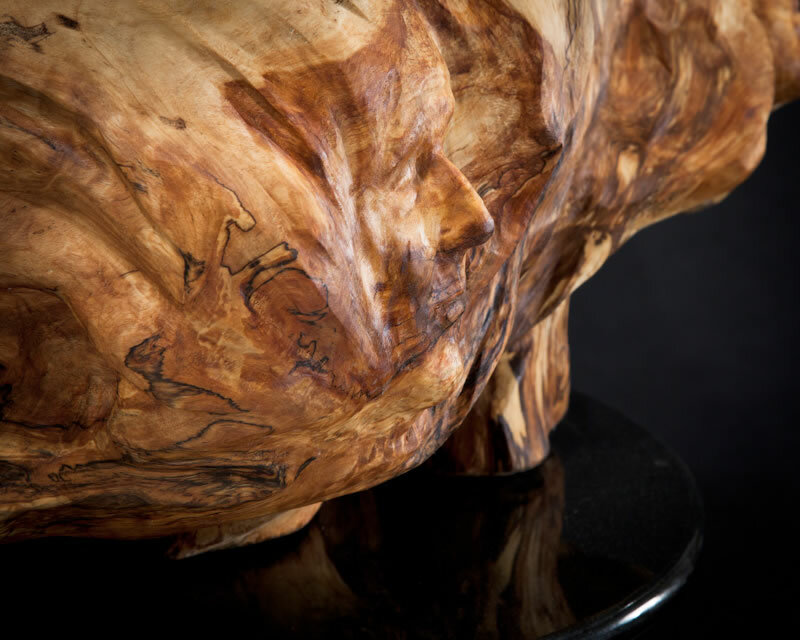 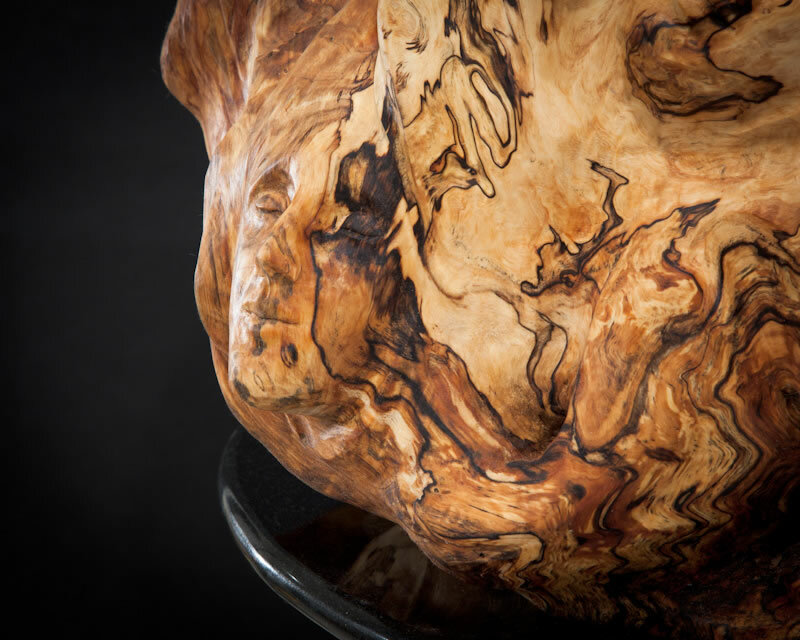 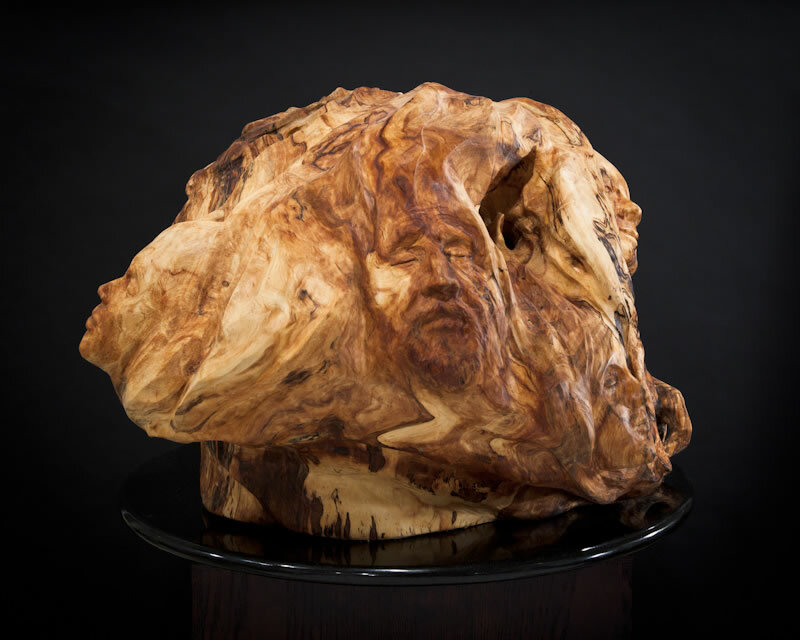 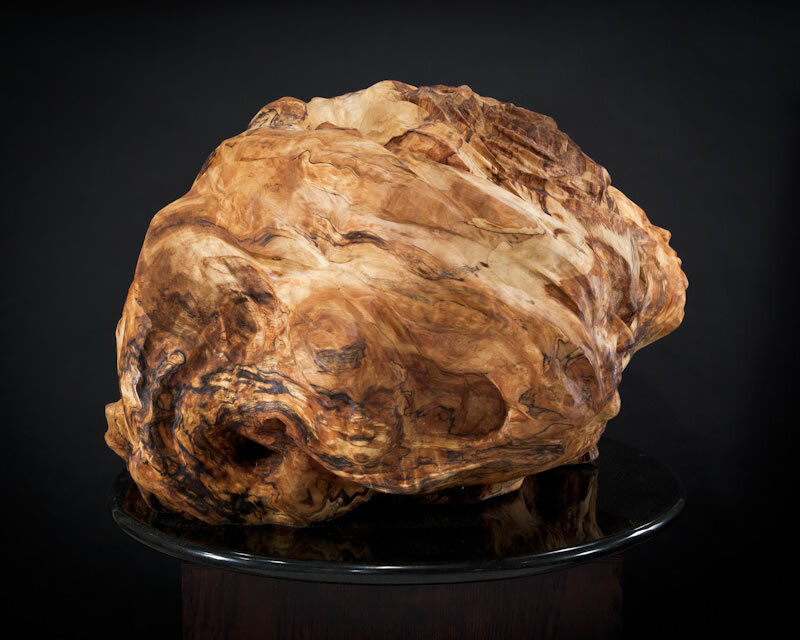 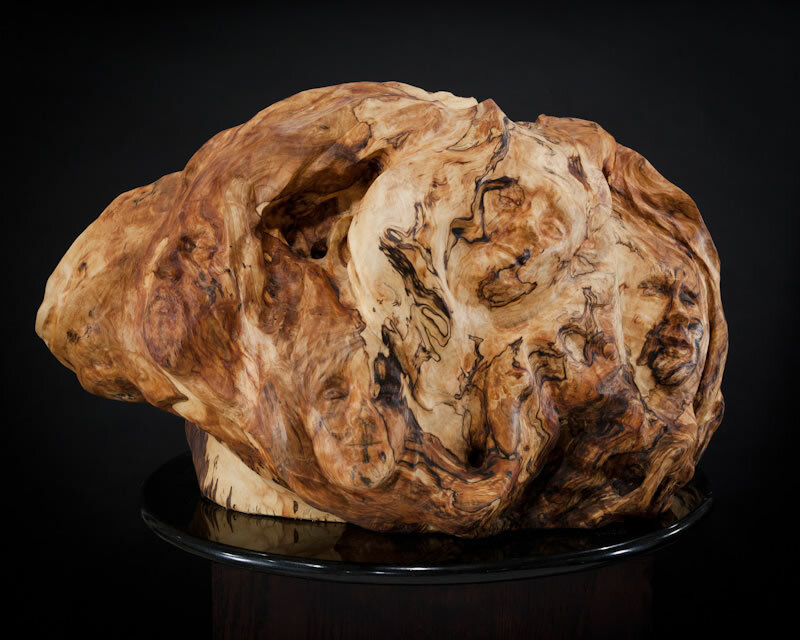 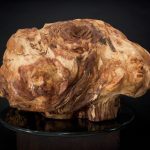 Burls are highly prized among wood carvers because of the inherent charm and uniqueness caused by the seemingly random swirling patterns. 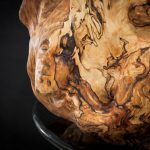 There is also the “spalting”, those fine black lines that are caused by a living fungus that is working its own destiny through the wood. 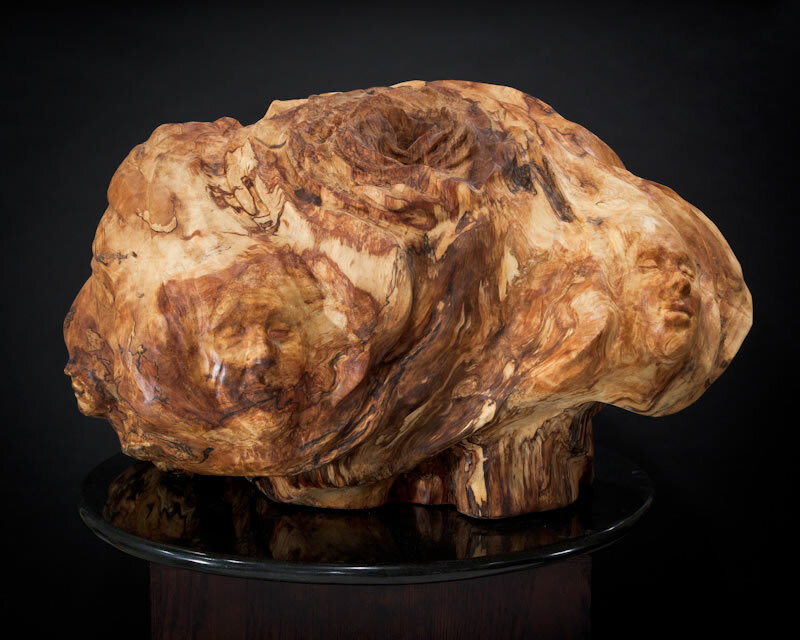 In this interpretation, the dynamic flow emerges from the crown of the sculpture, represented here by the unfolding petals of a flower. 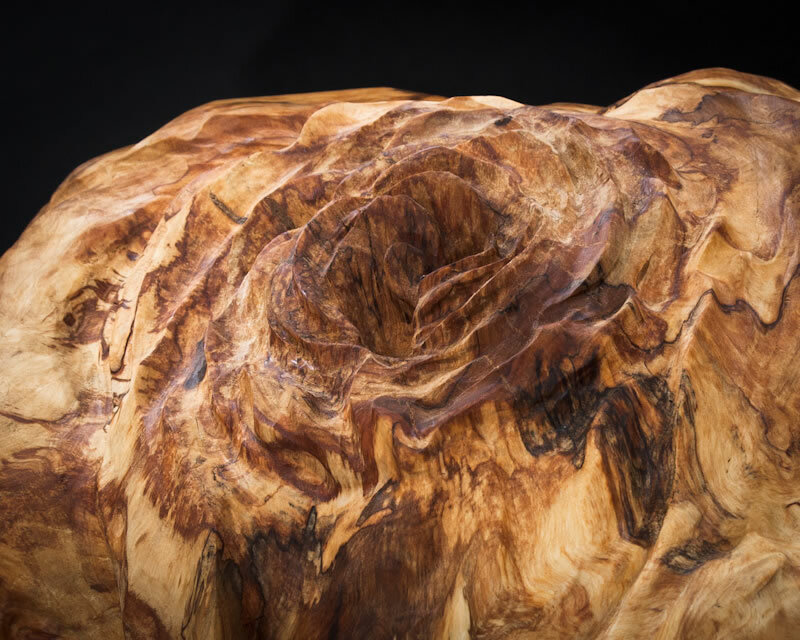 The flower expands and the energy spins out in undulating and twisting forms. 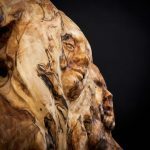 It flows through and connects multiple portraits, expressions of our own Divine Selves, intimately connected to one other and yet emerging singly from the center core. 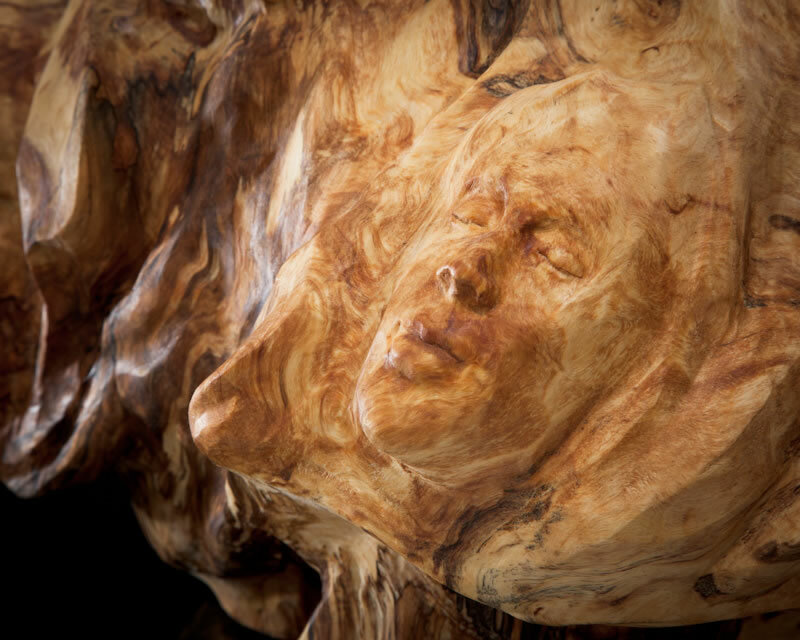 Paralleling our own lives, it can be said that we too emerge from an unseen central core, connected to one another yet each expressing with our own individuality and uniqueness. 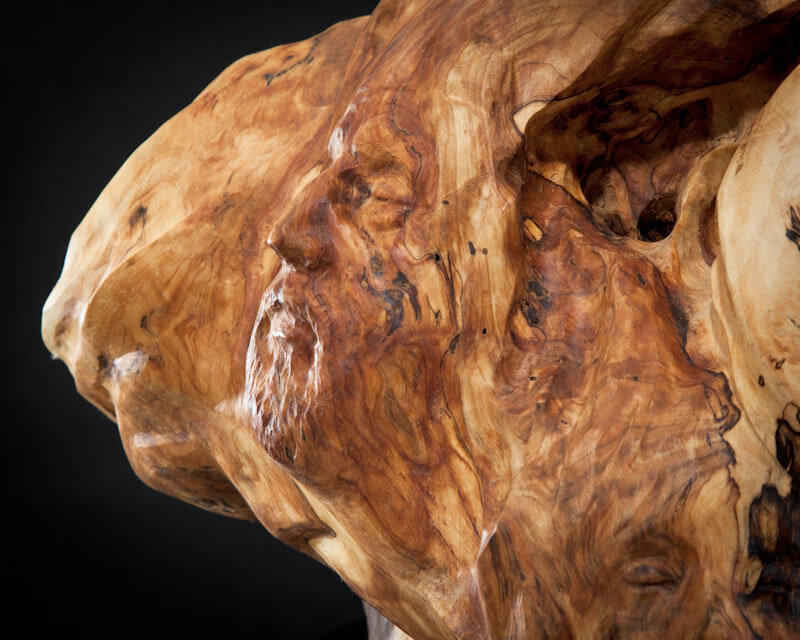 It seems to be Karma that enhances those differences. 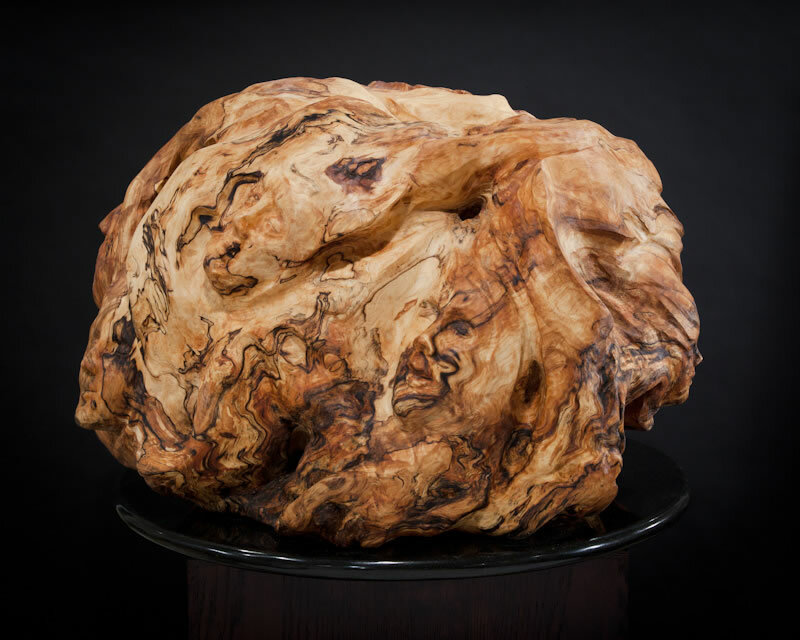 This burl was harvested from a local felled cherry tree, and the sculpture is 30” diameter x 24” height.